Explanation: What's that green streak in front of the Andromeda galaxy? A meteor. While photographing the Andromeda galaxy last Friday, near the peak of the Perseid Meteor Shower, a sand-sized rock from deep space crossed right in front of our Milky Way Galaxy's far-distant companion. The small meteor took only a fraction of a second to pass through this 10-degree field. The meteor flared several times while braking violently upon entering Earth's atmosphere. The green color was created, at least in part, by the meteor's gas glowing as it vaporized. Although the exposure was timed to catch a Perseids meteor, the orientation of the imaged streak seems a better match to a meteor from the Southern Delta Aquariids, a meteor shower that peaked a few weeks earlier. APOD Robot wrote: ... the orientation of the imaged streak seems a better match to a meteor from the Southern Delta Aquariids, a meteor shower that peaked a few weeks earlier. Ignoring travel direction, the track alignment is right on the money with Kappa Cygnids which although peaks on ~8/17, actually is active from 8/3 to 8/25. Granted a listed ZHR of ~3 is very low but the track alignment with the radiant is too good to ignore and it misses the Delta Aquariids radiant significantly. I believe a meteor path is a great circle on the celestial sphere, in which case a DA meteor would run almost parallel the M31 (~110° off from the imaged meteor). However, it looks like the meteor may have traveled from top to bottom bottom to top which makes both radiants questionable. The color of the meteor is very green and unchanging. My impression is that most meteor images show the meteors to be generally changing color, and while they may well be green, this sharply yellow-green and unchanging color is one I have not seen in photos before. The Sony A7s rgb and SX -36 camera monochrome, two at a time? or the meteor was captured by the SX -36 monochrome and then he has painted the green colour?? omg what a brilliant image. both on EQ8 mount unguided. Final image processed with 32 subframes from each system for the galaxy and the stars resulting in a L-RGB image. Could the nearly equal flare burst be caused by rotation of the object? The link for the larger image has a filetype of "gif." Should be "jpg." Why you write in Spanish if I wrote in English, with these moderate ways? Ann, while it may be rare to photograph them, they do happen... One I saw some time ago flared in green as it appeared, then the trail looked like an unchanging brilliant green bar until it died. The other thing to remember here, is that with the photo shown, the path of the meteor only covers about 5-6 degrees of the sky top-to-bottom, so we're probably only seeing a portion, possibly a small portion, of the entire meteor track. That being the case, the chances of seeing a color change in the reduced portion of the total track is also reduced. That's true. 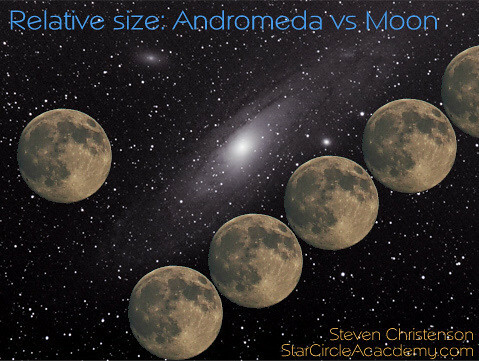 We only saw the meteor cross Andromeda, and Andromeda isn't that large in the sky (although it isn't that small either). "...and they called him, "the streeeeaakk.."
Can this photo be a composition? If the meteor happens at 100km of height, does this means that if the photographer had chossen a place 2 km away he would had missed the photo? Does the radiant concept for a meteor shower imply the above calculation is wrong? Ann wrote: The color of the meteor is very green and unchanging. My impression is that most meteor images show the meteors to be generally changing color, and while they may well be green, this sharply yellow-green and unchanging color is one I have not seen in photos before. One reason that images show changing color has to do with individual color channels on the sensor being saturated at different points along the path. Another thing to consider is that green in meteors typically is the result of atmospheric oxygen. 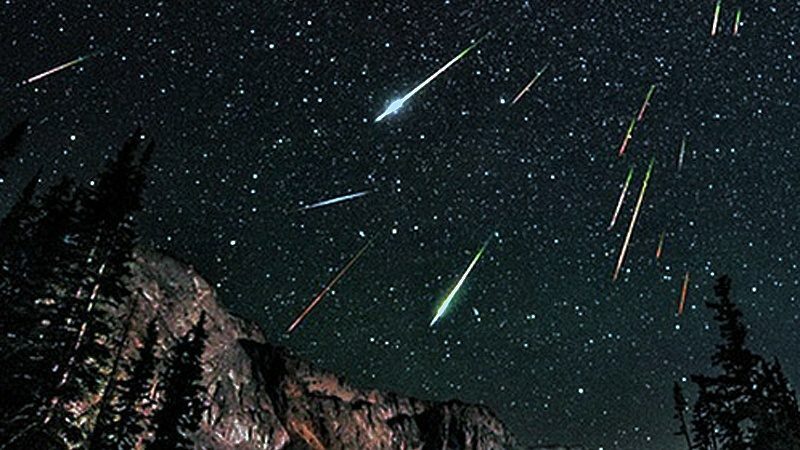 Shallow meteor paths and meteors that burn up quickly have everything happening in a similar atmospheric regime, and are more likely to show the same color. 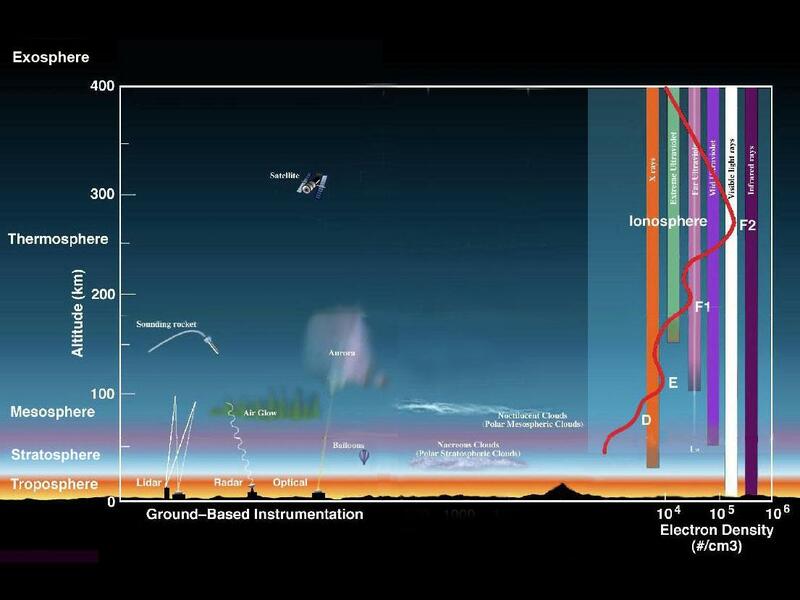 Those that descend steeply pass through different atmosphere which can result in different colors. Some meteors that show different colors do so because we're also seeing spectral contributions from the meteoroid itself (especially with sporadic, asteroidal material), and different elements burn off at different times, depending on temperature. To all Spanish-speaking friends: Please post in English if you can. It was ok for a few posts in the Mars thread, but I can't read Spanish and I have a very hard time understanding the tone of a post since I know so little of it. Auto translate is not good enough many times and confusion can easily lead to misunderstanding and negative interactions on the forum. geckzilla wrote: To all Spanish-speaking friends: Please post in English if you can. It was ok for a few posts in the Mars thread, but I can't read Spanish and I have a very hard time understanding the tone of a post since I know so little of it. Auto translate is not good enough many times and confusion can easily lead to misunderstanding and negative interactions on the forum. Да , с английского на русский язык является достаточно сложным делом , не бросать испанский в на вершине этого . Volltreffer. Nicht jeder spricht zwanzig oder mehr Fremdsprachen. In einem englischsprachigen Forum sollte man auch bei Englisch bleiben.